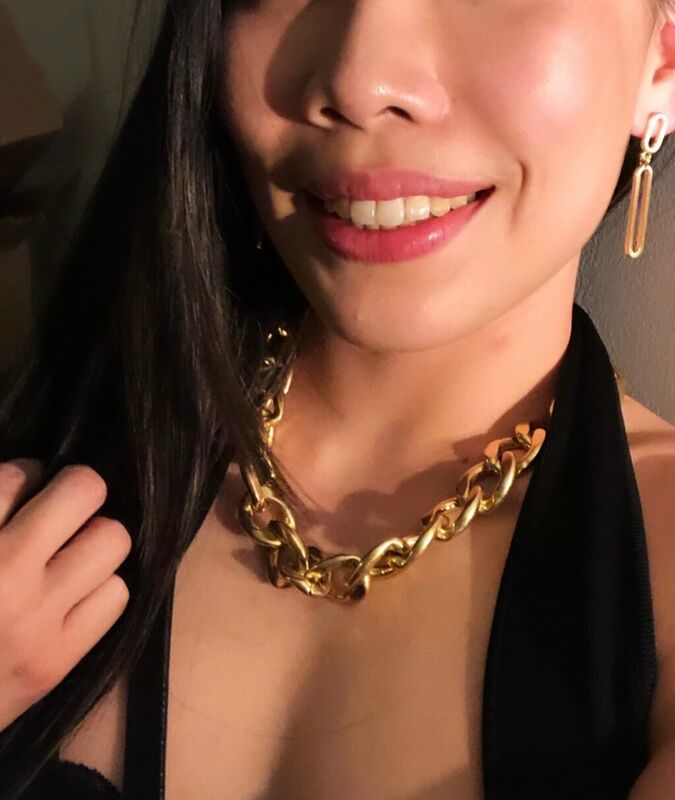 At first I wasn't sure if this heavy chain necklace would be "too much" but it's actually a perfect blend of dramatic and sophisticated!! I received so many compliments with wearing a simple black top. Love this necklace, looks great to dress up an outfit! Beautiful necklace! Excellent quality, not too heavy to wear all day. The leather and antique gold finish compliment one another. Perfect length, looks smart and stylish with a collared shirt, but cool and chic when paired with a t-shirt. You’ll be getting dressed around this piece. It’s solid, and a statement. I love it!